This month our guest blogger, John Shelley, gives us a great 'behind the scenes' glimpse into illustrating fact-based fictional picture books. 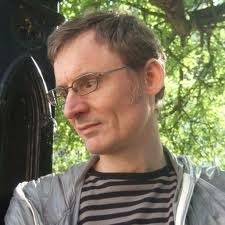 We discover how he balances fact alongside his imagination, and the joys and pitfalls of research and accuracy. Currently many of the picture books I'm illustrating are either non-fiction built entirely on factual events, or fact-based fictional stories, that is to say, imagined stories used as a backdrop to explain real facts. 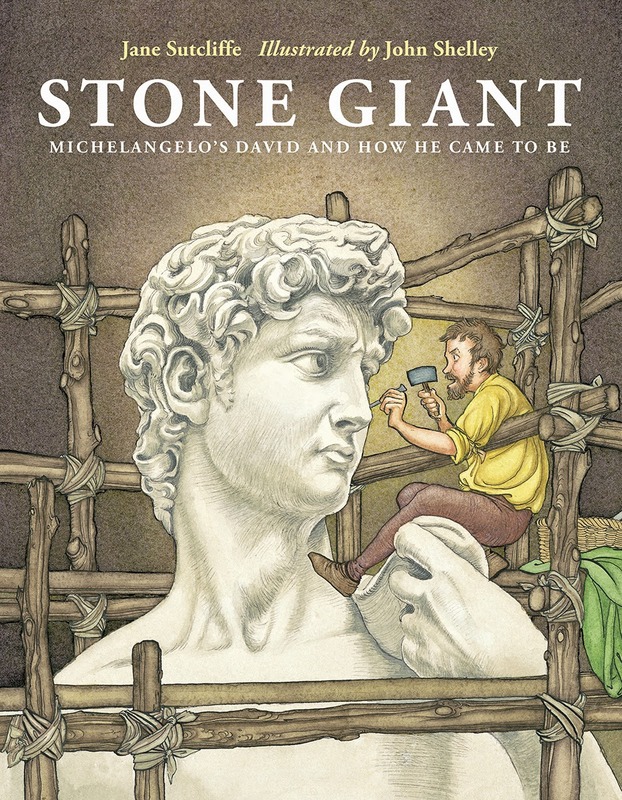 My last book, Stone Giant, is an example of the former, a historical narrative about the creation of Michelangelo's statue of David, written by Jane Sutcliffe and published by Charlesbridge (USA). 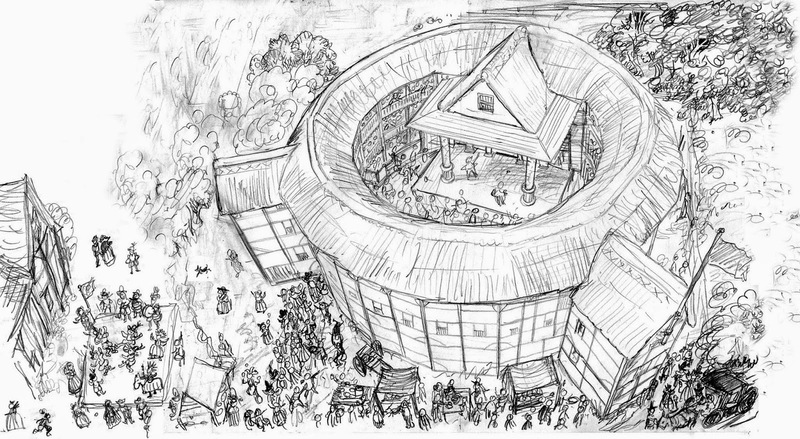 As I write, I've quite literally just finished the preparation sketches on another story by Jane, Will's Words, which will be an even more demanding historical project, this time about the original Globe Theatre in London, and how the language of Shakespeare has become part of our everyday speech. At the moment I'm entirely immersed in London at the turn of the 17th Century. 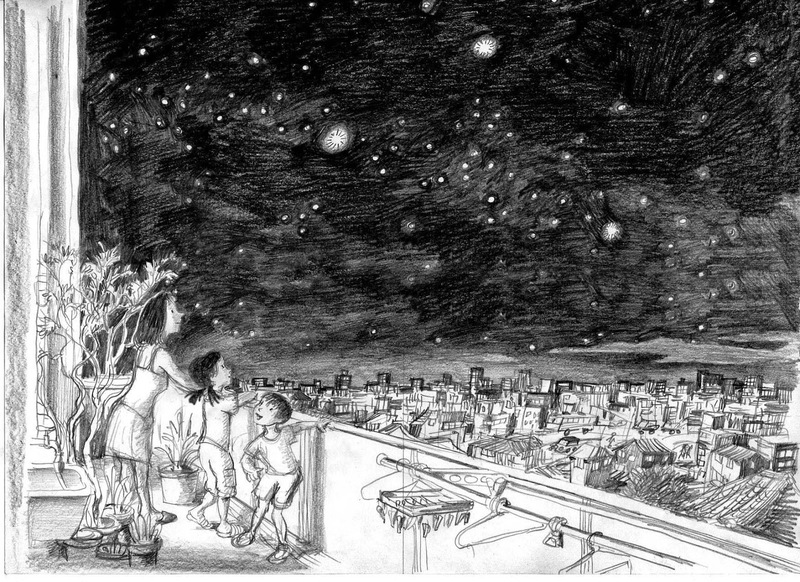 At the same time I'm also working on a book about stargazing for Fukuinkan Shoten in Japan, Yozora o Miyage-yo, conveyed using the narrative of a child's discovery of the night sky with a typical Japanese family in Tokyo. Nothing could be more different than these two books, and yet in a sense they are very similar. In both these projects I have to balance the requirement for scientific or historical accuracy with my imagination, which can be anything but scientific! 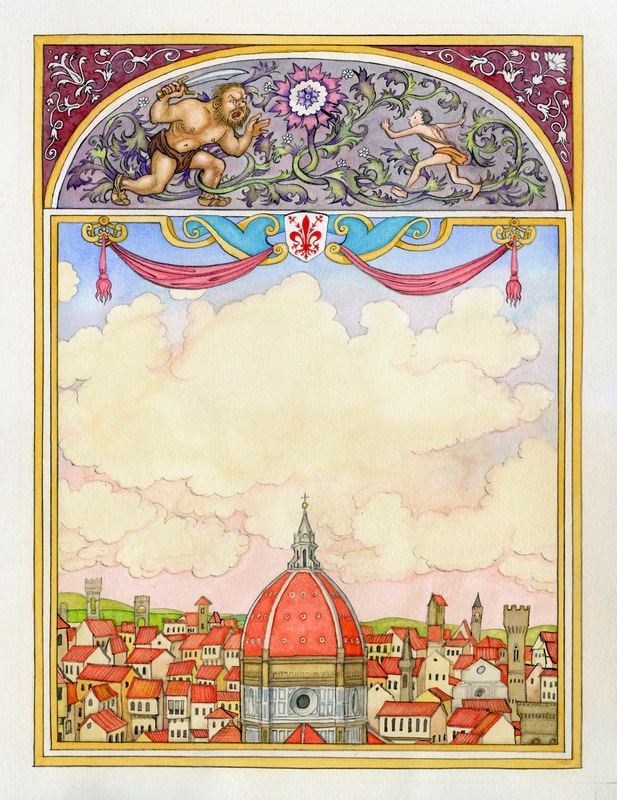 I'm a fantasy artist at heart, in my illustrations I like to expand and twist the reality of life and draw windows into more imaginative worlds. It's hard to do this if everything is based in mundane reality. My tendency is to think with broad strokes, then get down to details – I have an idea for a strong visual composition, which I'll try to fit the narrative within. The image is the most important thing for me, the drama of the setting, so where my imagination clashes with historical facts it can be a challenge. There are ways we can get around this. One way is to look for the detail and viewpoints that bring drama to the scene. A small amount of distortion can help the narrative flow, provided it's still within the boundaries of the facts. The illustrator can play with secondary elements in the landscape, perhaps little details unmentioned in the text. The physical landscape of a painting can offer opportunities for witticisms and visual asides, provided the overall theme of the image remains within the facts. to enhance a page of factual text. Another way is to use decorative elements to frame the facts within a more whimsical world of imagination. In Stone Giant I used a lot of decorative elements from the Renaissance to enhance, or expand on, the historical narrative. Abstract concepts in the text might conjure fanciful visuals that can be superimposed on to an otherwise "straight" drawing. So there are ways to step outside the "box" of reality, even with non-fiction, how much you can get away with though depends on the requirements of the publisher! 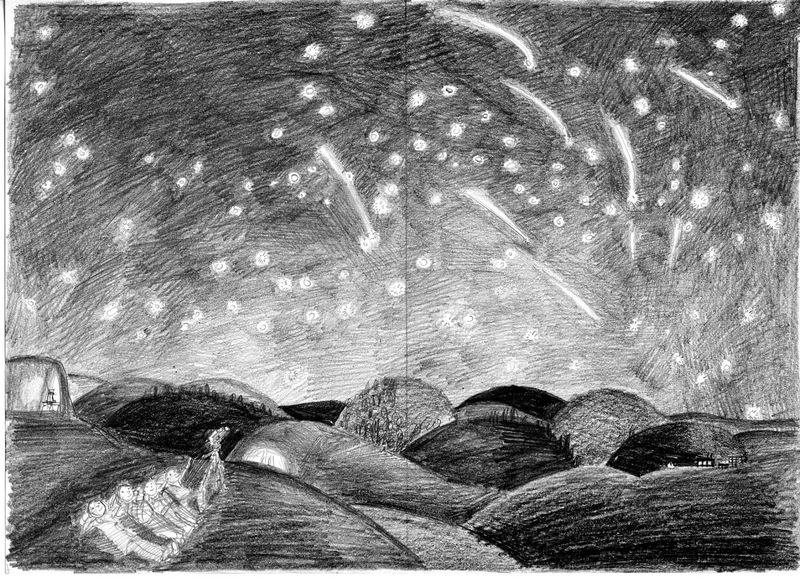 In my first sketches for the Japanese stargazing book Yozora o Miyage-yo, for the large part I completely ignored the scientific requirements of the night sky – as the sky is a background to the lives of the characters I designed the book on the narrative, knowing the hard science and star locations would be dropped in later. What mattered to me in the early stages was to show a rollicking good family yarn. This eventually led to several problems when we began to examine the astronomy – I had to redraw a lot, cut back many of my more fanciful ideas (so no exaggeration of features), specify the exact season and point of compass in each image so the correct stars would be seen in exactly the right place in the sky, and, as much of the book is based around viewing the sky from the same apartment balcony, I had to re-plot the entire landscape viewed from the apartment, building by building, so each view would match in consecutive images, no matter what angle. completely redrawn to show more accurate renderings of the sky, hills and stars. So all in all, finding that balance between leaps of fantasy and the core of reality is a challenging task. Yozora is still awaiting final art after a very long gestation period of two years, with multiple author rewrites and image re-designs. Will's Words is much more complicated for setting and historical detail, though hopefully a little smoother in regards technical details. The great challenge here is not to get carried away by research, which I really love, and which has already absorbed much of my energy this summer – the more you research the history, the more you want to include it in the book! It's important for me to immerse myself in the era, to place myself within the setting, to mentally inhabit the world, and in order to do that I gather as much on the era as I can. Naturally there will always be a degree of conjecture, so I try to narrow this down as much as possible. A lot of the research may not even make it into the book, I realised at one point I'd spent the best part of an hour reading up on the Society of Stationers and printer guilds, just because of one small barely noticeable wall plaque that's not even mentioned in the text! It's easy to go off at tangents and spend hours researching small details, especially with the Web! But so it goes. Research, especially historical research, is one of the most pleasurable things about working on non-fiction. The reader may never notice, but I know, and there will always be some expert out there pointing and picking over the accuracy. 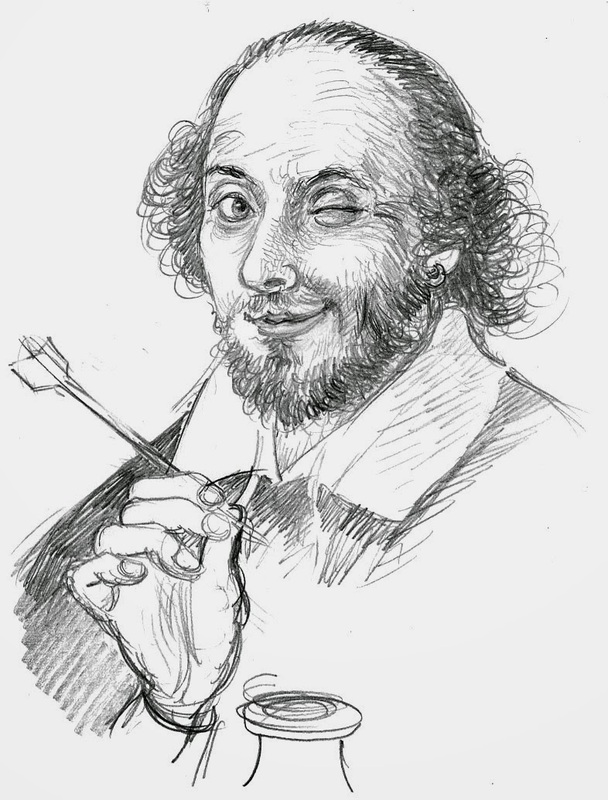 And of course... Shakespeare himself would know! Thanks for the insight into a different side of the illustrating world. Thank you Jonathan! simplicity is often the key, I learned that with advertising years ago, I think my children's work is getting more complex in recent years though, maybe it's some kind of penance! And as Jonathan has mentioned researching - it can take you away from the project. I've learned when writing non-fiction (so far only for adults nut I do have an idea for a picture book based on fact) to have a list of questions I need to answer and when I've answered them I stop researching. A list of research questions - good idea, Lynne! That's a very good technique Lynne, I'll remember that! I adore reading about the illustration side of picture books, John. The more I read the more I discover how much there is to it, and how it varies between illustrators. By the way, I too especially like the rough drawing of the shooting stars. I'm also intrigued at how you can safely add the fantastical by creating a decorative border - clever! Interesting that everyone likes that drawing, publishers often lament that roughs have more energy and life than finished artwork. Ah, if we could only bottle that! I had interest from a publisher on my pencil roughs once, tried to reproduce the same quality in finished work but it wasn't quite the same. Interesting that you like that sketch Paeony, it's often said that sketches have more life than final art. One publisher asked me to try illustrating finals like my pencil roughs... tried, but it wasn't quite the same, somehow in the need to get it right, you lose the freshness, always seems to be the case. What a fascinating post John - thank you. What very beautiful pictures, John. Lucky children getting those books is what this blog makes me think! Really interesting. What a great post! Jane was a guest blogger on my blog last month and so it's extra neat for me to read your post, John, and get a fuller sense of the thought process behind both sides of STONE GIANT. I loved your illustrations for that and will be on the look out for your other books. Excellent post, John. Particularly interesting to read how you strike the balance between historical/scientific accuracy and creative expression in your work.